SKU: 16263. Category: Mirrors. 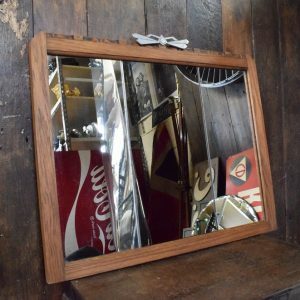 Tags: Art deco mirror, Oak mirror. 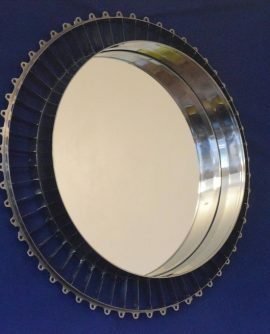 Typical Art Deco Styling to this mirror. 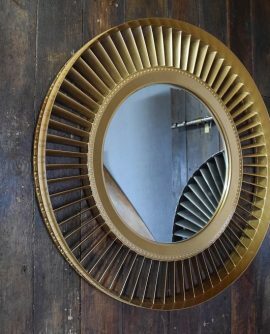 The Oak frame has a geometric design and there is a metal decorative feature to the top centre. The glass is split into three panels with the centre panel having a slight smoked glass finish. 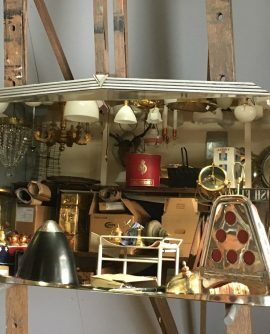 The mirror glass is in good condition with a few speckles and scratches due to age.